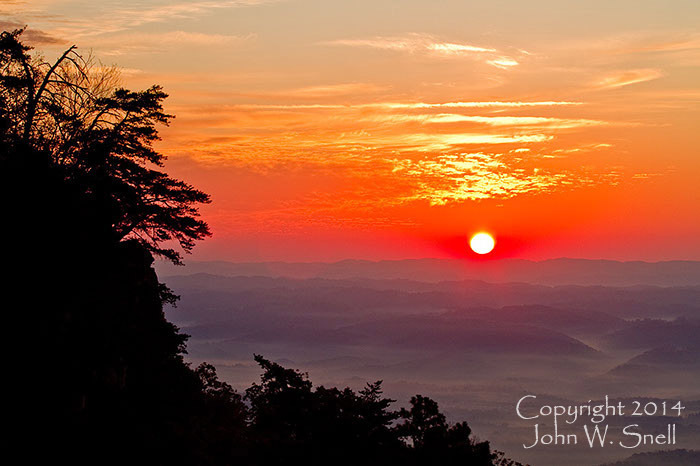 One of the most scenic overlooks in Kentucky is the Pinnacle at Cumberland Gap. To the east lies a tiny slice of Virginia, beyond which is Tennessee, which is the terrain seen in the distance here. To the west is Middlesboro, Kentucky, which is often shrouded in morning fog. Sunrise on this autumn morning was spectacular!